New Delhi/London [India/U.K. ], December 7 (ANI): The Arab world has denounced the United States’s decision to recognise Jerusalem as Israel’s capital and said the holy city would continue to remain “eternal capital of the State of Palestine” and President Donald Trump’s move has opened “the gates of hell”. 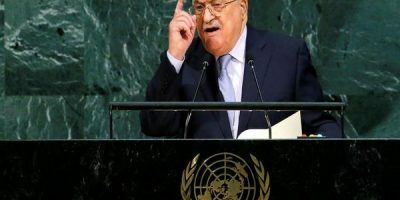 Leading the charge, Palestinian President Mahmoud Abbas, in a televised speech on Wednesday, said their leadership would not accept the move and announced that the U.S. could no longer participate in Israeli-Palestinian peace negotiations. Palestine Liberation Organization echoed Abbas’ comments and said they have “destroyed the two-state solution”. negotiator for the Palestinians, as saying. The Palestinian Islamist group, Hamas, vociferously condemned the Trump’s announcement, which was termed “historic” by Israeli Prime Minister Benjamin Netanyahu. Muslim land,” independent.co.uk quoted a militant group’s spokesperson as saying. Egypt, which shares borders with both Israel and Gaza, where mostly Palestinians reside, too condemned the move and, in a statement, said such unilateral decisions go against international resolutions. Another Muslim majority country, Turkey, too, slammed Trump’s announcement.